Plant Type: Feminized Cannabis Seeds. 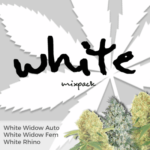 For the All-American Marijuana grower, the Patriot Mix pack contains three highly popular and versatile strains created in the USA. Bubblegum, AK 47 and of course, Sour Diesel. 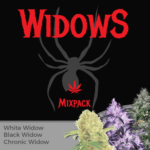 You can enjoy all three of these top quality strains in one mix pack containing either 3, 5 or 10 separated seeds from each strain, per pack, totaling 9, 15 or 30 feminized seeds per pack. Each of these three strains are highly stable and perfect for both indoor and outdoor growing techniques. Flowering typically requires between 64 - 68 days on average, producing an abundance of high quality buds with an average THC content between 17% - 19%. A great choice for the American grower looking for variety. Find out more about Patriot Mix Pack Seeds. AK 47: Fast and hard-hitting, described as the ultimate 'one-hit wonder'. Ever-popular from the Amsterdam Coffee-shops to the American Medical Marijuana dispensaries. AK 47 produces a very powerful, euphoric high and deeply relaxing body stone. One of the world's most awarded Cannabis strains. 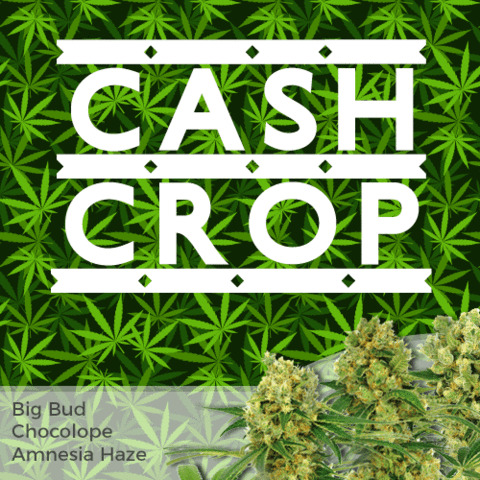 Bubblegum: Described as the perfect Cannabis hybrid, this blend of 50/50 Indica and Sativa genetics produce sweet, candy tasting buds with a euphoric high and strong body stone.Perfectly balanced genes produce an easy to grow plant with good yields in average flowering times. Sour Diesel: Like the U.K. Cheese, Sour Diesel began life as a rogue Skunk #1 pheno. 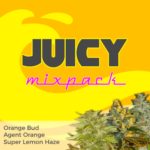 The unique sour-lemon and diesel fuel flavour provides a strong, energising effect that's very sociable and great for sharing with friends. Well adapted for high yields from indoor Screen-of-Green growing techniques. Read the complete Patriot Mix Pack Review. 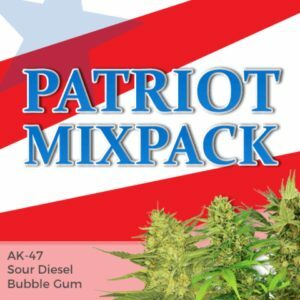 Buy Patriot Mix Pack Seeds today and receive free worldwide shipping guaranteed.